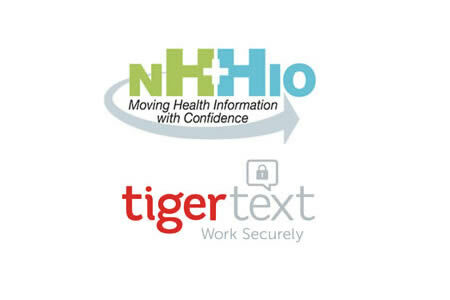 TigerText has announced that the company´s secure messaging platform has been selected to provide secure healthcare messaging for the New Hampshire Health Information Organization. The New Hampshire Health Information Organization (HNNIO) is a non-profit organization created to facilitate the digital exchange of patient health information. The HNNIO connects more than one hundred healthcare providers in New Hampshire in order to share patient health information needed for informed care decisions, and to improve quality, efficiency and patient safety while reducing healthcare costs. The TigerText platform will provided the network with an efficient and secure method of sending and receiving Protected Health Information (PHI), as well as other important information necessary for making critical care decisions. Ms. Eldredge believes that real-time electronic transmission of PHI between care providers in a fully HIPAA compliant manner will improve the coordination of care and increase workflow. Healthcare providers within NHHIO´s network will receive special pricing when they sign up for TigerText in order to facilitate rapid adoption across the network. Many healthcare organizations that have already implemented TigerText as a secure messaging provider have achieved dramatic results as a consequence. Some report making cost savings of more than $1 million a year, while others have reduced the average length of a patient stay by two days.